Meatless in March continues for our family as we go meatless, not on Monday’s, but on Friday’s for the Lenten season. 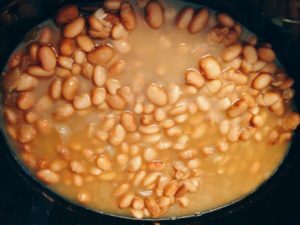 Meatless meal #2: Crock Pot Pinto Beans. Easy, savory, delicious. 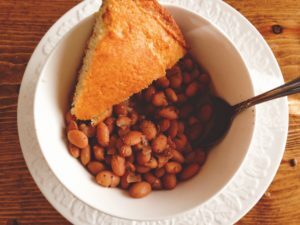 Served best with cornbread. Enjoy! The night before, I rinsed my package of beans and put them in my crock pot. I followed the “over-night soak” instructions per package. 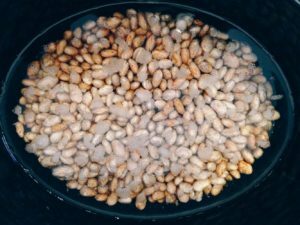 The next morning, I drained the water from the beans in a colander and rinsed them again. And put them back into the crock pot with chicken broth, onion, salt, and pepper. I turned my crock pot on “High” for about 5-6 hours and wha-lah! 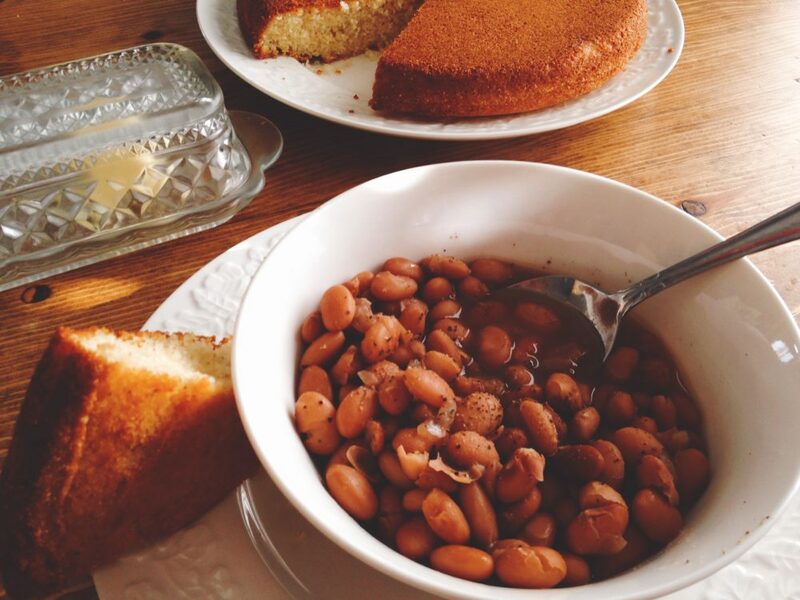 Cornbread and beans… they’re best friends. Let not man separate….. ;). 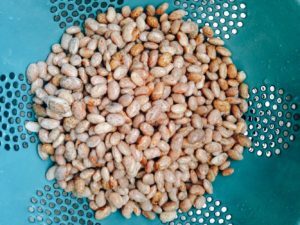 Pre-soak beans overnight according to package instructions. Rinse. 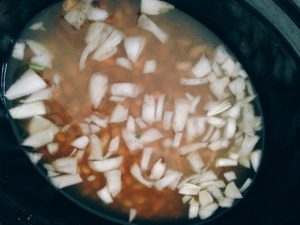 Place in crock-pot with chicken broth, onion, salt and pepper. Cook on “HIGH” for approximately 6 hours.